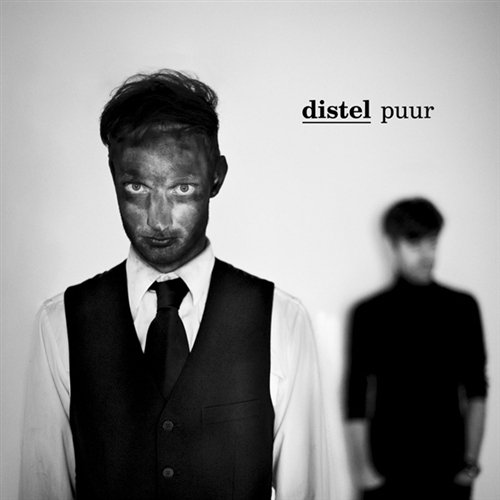 Distel is a Ddutch electronic project comprised of 2 members æter (synthesizers / vocals) and scramasax (percussion). They started to release their special blend of sounds on compilations in 2009. 4 years later their debut album 'Puur' was published on the Enfant Terrible label in vinyl only. Ant-zen is proud to present this album on cd format including the full LP as well as bonus tracks. Distel's sound requires its very own definition: some might call this witch house while others would go for death disco or ritual elektro - the project's own description is 'ultra / angst pop'. No matter which label might fit, Distel's music is purely electronic with an industrial and minimal background which expresses a magical and maybe even occult mood. 'Puur' is a petrifying album suffused with experimental electronics, acherontic industrial soundscapes and profound eerie vocals backed by reluctant beats - a very unique combination of styles which denies to comply with established genre clichés. References are not easy to give, but connoisseurs of November Növelet, early The Klinik and even Autechre will enjoy diving into Distel's aural selfconception. This album is beautiful, complex and grotesque on all levels - highly recommended.